The baguette is as French as France itself. There isn’t much that is more traditional than the long slender loaf of bread. 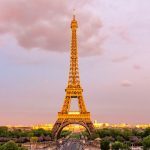 See one and you will know it instantly as a symbol of France. 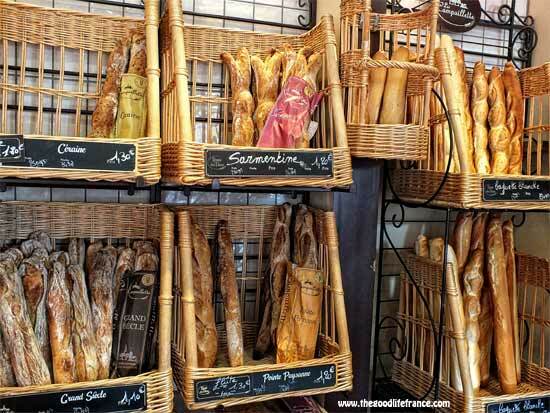 At any hour of the day, on the streets of any village, town, or city in France you will see someone strolling along with one of these elongated loaves tucked under their arm. That’s because this ubiquitous bread may be eaten at breakfast, lunch, or dinner. The word “baguette” means wand, baton, or stick and refers to the shape of the bread. This term became attached to the thin sticks of bread we know today, in the early 20th Century. However, the baguette’s history may go back much further. No one knows exactly when or why this French loaf took on its current shape, but there are several stories, and even some laws that give us clues to the baguette’s heritage. 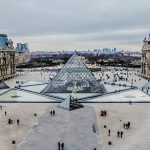 One patriotic tale explains the possible origin of the baguette (but not its shape) by linking it to the French Revolution. Lack of bread was the principal complaint from the people of Paris and it’s said that this played a large part in the overthrow of the monarchy. Bread was the mainstay of the French diet and the poor people were tired of watching the nobility eat copious amounts of fine white loaves while they faced shortages and had to make do with bread that was barely edible. Could this law truly have created the forerunner of our beloved baguette? Another story claims that Napoleon passed a decree that bread for his soldiers should be made in long slender loaves of exact measurements to fit into a special pocket on their uniforms. Since those measurements were close to the size of a modern baguette, some people think this might be when the bread first took on its current form. 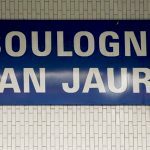 Yet another anecdote affirms that when the metro system was being built in Paris, the workmen from different regions just couldn’t get along and the overseer of the project was concerned about violence in the dark, underground tunnels. At that time, everyone carried a knife to cut their bread, so the supervisor went to the bakery to request loaves that didn’t need to be cut. A loaf of bread was regulated by weight, so in order to make it thin enough to be easily torn, it ended up being long and slender. Whenever and for whatever reason the first wand-shaped breads were everywhere by the mid 1800s in Paris. But these weren’t the French loaves that we see today. No, they were baguettes on steroids. Many foreign visitors marvelled at the extraordinary lengths of the Parisian bread they saw. 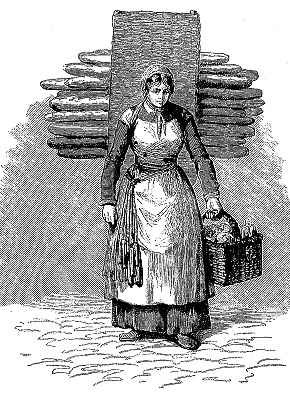 They described loaves of bread 6 feet (2 metres) long being delivered by women carrying them stacked horizontally, like firewood, in a frame on their backs. Housemaids were on the streets at 6:00 in the morning carrying these long loaves home for their employer’s breakfast. In the afternoon, young boys could be seen using these lengthy baguettes as pretend swords and engaging in mock battles before the bread made its way to the family table. One visitor remarked that in a restaurant, the baker came in and stacked loaves 6-8 feet (2-2.5 metres) long in the corner like a bundle of sticks. Another describes the bread having to be laid on the dining table lengthwise because it was longer than the table was wide. Those long breads that made such an impression on 19th Century tourists must have been the forerunner of today’s more manageably sized baguette. The modern, shorter version seems to have come into being in the 1920s, when a law was passed prohibiting bakers from working between the hours of 10:00 p.m. and 4:00 a.m. The current baguette was probably developed because its thin form allowed it to cook faster. It was during this time that the term “baguette” first became associated with the slender loaves that are seen everywhere in France today. 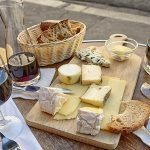 Today, even though bread is an accompaniment to a meal instead of the main course, it still plays an important part in French life – and the most popular bread in France is the baguette. Since there are boulangeries (bakeries) everywhere in France, there’s never an excuse for not having a nice crunchy baguette with every meal. 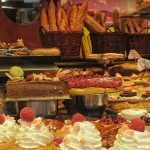 And while you’re walking home nibbling on the end of your baguette, you can ponder the French Revolution, Napoleon and the Paris metro… and be thankful that you’re not trying to manoeuvre a 6 foot (2 metre) long loaf of bread down the street. 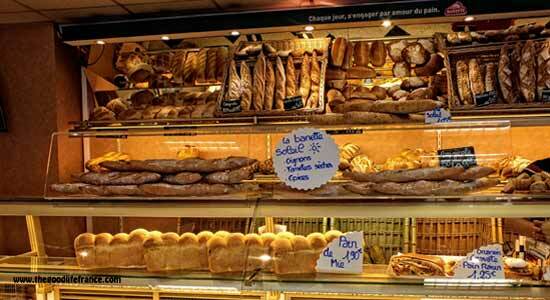 Find the best baguette in Paris – it’s official as hundreds of bakeries are judged each year. Margo Lestz lives in Nice, France where she blogs as thecuriousrambler and is the author of French Holidays and Traditions. Margo says “Life is never boring and I learn something new every day… and there are always surprises”.